Mgahinga Gorilla National Park in Uganda only 33 sq km of size, is located in the far southwestern corner of Uganda bordering Rwanda and Congo,14 km from kisoro town in Bufumbira County about 540 km from Kampala-the capital. Mgahinga National Park was gazetted in 1991. Kibale National Park Uganda-the major Chimpanzee trekking safari tours in Kibale forest national park destination in Uganda, is located in Kabarole district of western Uganda near Fort Portal and measures 776 sq km in size.It is elevate between 1110 meters to 1590 meters and has a national park since 1993. 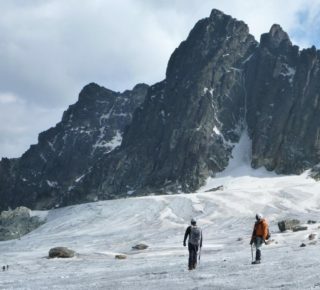 A Uganda Safari that features the Rwenzori mountain climbing adventure provides a memorable and rewarding experience but in order to have a smooth flow it should be Well planned and every tour must be well prepared. The central hike circuit can take about six nights/seven days and then reaches an altitude of 14,000ft(4,267m) above the sea level. 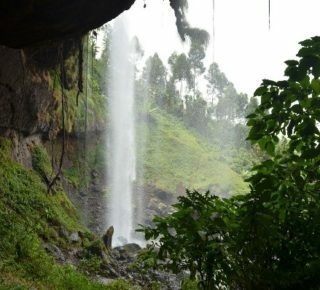 Mount Elgon National Park Uganda is home Mount Elgon a 4,321m high extinct volcano with Wagagai as it`s highest peak,that first erupted more than 24 million years ago and in prehistoric times stood taller than Kilimanjaro does today. Having a 50km by 80km area, Elgon is a great Uganda prime tour-safari destination, possesing the largest surface area of any extinct Volcano in the world but 4th highest mount in E. Africa. Kidepo National Park; The 1,442 square kilometres Kidepo Valley National Park lies in the rugged semi-arid karamoja province valleys. It is one of Uganda’s prime most remote but spectacular national parks that harbors scenery unsurpassed in any other park in East Africa. Many tourists that visit this park comment on the scenery and often promise and do come back to re-visit Kidepo, for according to them this tour cant not be any better any where. 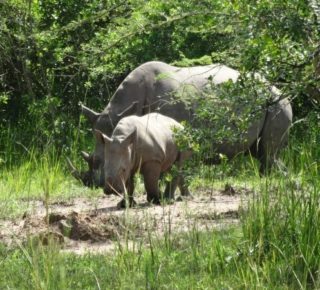 Lake Mburo National Park; With a size of 260 sq km,Lake Mburo National Park in Uganda is situated near Mbarara district and forms Uganda wildlife tours and Safaris destination best for tourists to amazing wild game walks amidst chanting and grazing wild animal and this can be done here in the whole Uganda . Wildlife safari tours in Queen Elizabeth National Park, Uganda wildlife safari game drives,boat cruises, nature walks,chimpanzee trekking when to visit, how to get there & where to sleep in Queen Elizabeth National Park Uganda. Queen Elizabeth National Park Uganda (QENP) is located in the southwest of Uganda near Kasese, covering 1978 sq km. It is Uganda`s most popular and accessible savanna reserve and Uganda safari destination. It was declared as a bios-sphere reserve purposely to harmonizing human activities with the conservation and protection of wild life , wet lands and natural resources in 1979. Murchison Falls National Park Uganda protected Area (3840 sq km) located In the northwest, approximately 90km from Masindi and Uganda`s largest national park , is comprised of Bugungu and Karuma Wildlife Re-serves. 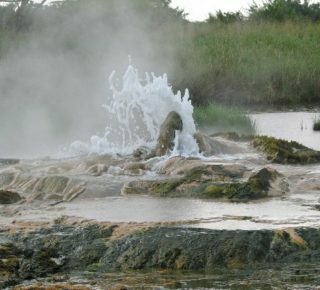 It is named after the dramatic Murchison Falls, where the world’s longest river explodes violently through a narrow cleft in the Rift Valley escarpment to plunge into a frothing pool 43m below. 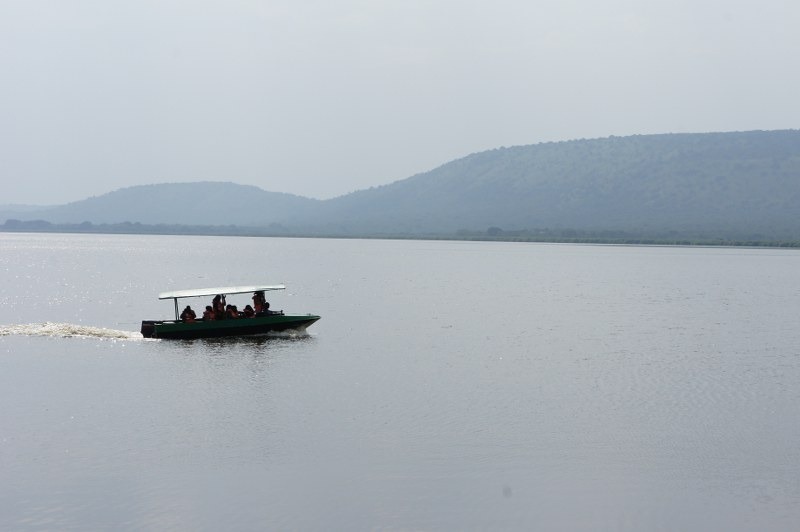 It becomes a placid river whose banks are thronged with crocodiles, hippos, waterbucks and buffaloes. Savannah grasslands, riverine forest and woodland characterize Murchison vegetation. Mpanga Central Forest Reserve is one of the forests in Uganda with established eco-tourism initiatives. The forest features impressive species among which include the Celtis Family Species containing large buttress, Ficus family Species along with Mahogany. The forest is also a habitat to a range of birds including the impressive black and white casqued hornbills along with grey parrot, Weaver birds, cuckoos and owls. Mpanga Forest also shelters counts of primates including the Bush babies, red tailed monkey along with bush babies. There are also impressive butterflies and the famous dragon flies. Mpanga Eco tourism site offers a range of tourism activities including forest exploration or forest hiking, bird watching, butterfly identification, primate watching and butterfly identification. The forest trails have been specially designed to allow you explore the forest and they include; Baseline Trail, the Butterfly Trail and the Hornbill Trail. Mpanga ecotourism site is positioned at 37km about 1 – 1.5 hours’ drive south west of Kampala along Masaka Road. From Mpigi town, you drive 6km further before approaching Mpanga Eco tourism site sign post and from the signpost where you branch off from the main road, its 1km to arrive at Mpanga Eco tourism site on a dirt road. Mpanga Eco tourism site can still be accessed by public transport. You board a taxi from the Kampala Taxi Park normally 14 seater mini bus transferring to Buwama. You alert the conductor or the driver that you will be disembarking at Mpanga Eco tourism site junction. Mpambire is the closest taxi stage where you also have opportunities of seeing the local people crafting drums in a typical traditional style. Mpanga Eco tourism Campsite The Mpanga Eco tourism center features an accommodation establishment though with no hot water and electricity. Accommodation is provided in 2 double rooms, 2 twin rooms, 8 bedded dormitory accommodation and provision for camping. Meals and camp fire available though one it is advisable to notice 3 days in advance for proper preparation. Kalinzu Forest Reserve is located in the district of Bushenyi in the West of Uganda with a diverse flora and fauna. The forest features 414 tree species along with shrubs among which include; Parinari Ficus, Stroboia, and Prunus Africana among other tree species. The Kalinzu Central Forest Reserve shelters 378 bird species among which include; Sunbirds, Cuckoos, Black and White Caskets and Great Blue Turaco. A range of six (6) species of primates exist in Kalinzu including; Chimpanzees, Black and White colobus Monkeys, Vervet Monkeys and Blue Monkeys. 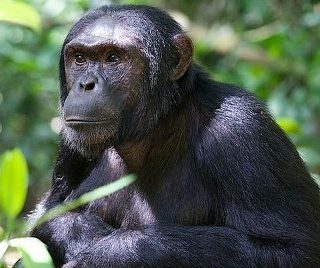 The Primate Census conducted in 2001 in the forest put the total figure at 240 species of chimpanzees where two groups have been habituated for chimpanzee trekking safaris in Uganda. Kalinzu forest also shelters other wildlife including 262 species of butterfly and 97 species of moths. The views of the forest canopy, the savannahs of Queen Elizabeth and the towering Rwenzori Mountains not forgetting the Bunyaruguru crater field derive impressive memories. Kalinzu forest being close to Queen Elizabeth NP at times receives visiting savanna dwelling Species like leopards, duiker and wild pigs. Kalinzu Forest Reserve offers a range of tourist activities ranging chimpanzee trekking, forest / nature walks, bird watching, education and research. Kalinzu is located in Bushenyi district to the south west of Uganda 375km from Kampala about 6 hours’ drive from Kampala. The reserve can be visited en route to or from Queen Elizabeth National Park. Accommodation in Kalinzu Forest Reserve is conducted on self-camping arrangement at the forest campsite at Nkombe. Uganda tour undertakers are required to carry own camping equipment. There is also accommodation in Ishaka / Bushenyi towns or the safari lodges surrounding Queen Elizabeth National Park. Kaniyo-Pabidi Eco tourism site is positioned in the north east of Budongo Forest Reserve and is well known for its populations of habituated chimpanzees. The section also has other primate species namely blue monkey, red-tailed monkey, baboons and vervet monkey not forgetting Black and white colobus monkey. 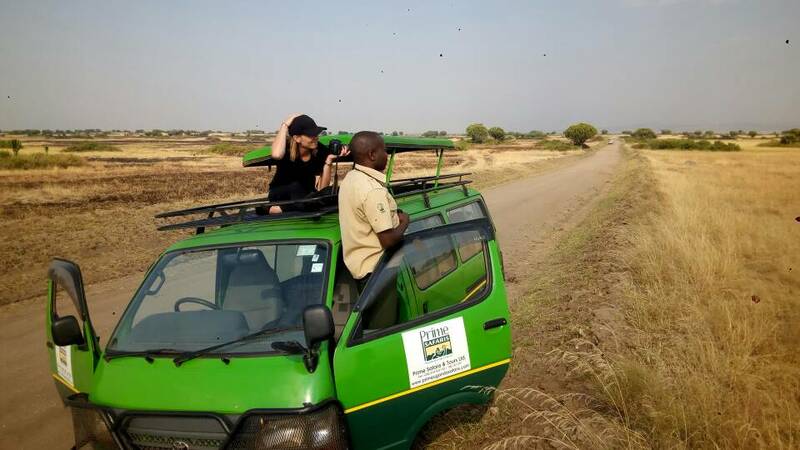 The section of Kaniyo Pabidi adjoins Murchison Falls National Park which is one of the famous wildlife Uganda tours safari destinations with great counts of wild game and here many tours in Uganda are done. Also Kaniyo Pabidi forest features open patches on some sections where lions, warthogs, waterbucks, bushbucks, bush bucks, red and blue duikers are occasionally sighted. Kaniyo Pabidi Forest site also features impressive birding opportunities with possibilities of encountering the chocolate backed Kingfisher, puvelis Illadopsis among others. The section of the forest features impressive tree species including the Celtic family Species and Mahogany. Other natural offerings like moths, Butterflies and tropical flowers are noted to be in abundance. Kaniyo Pabidi Eco tourism site enables the traveller on safari in Uganda to engage in a range of activities including; chimpanzee trekking and habituation, bird watching and forest walk / hiking. Budongo Eco Lodge Budongo Eco Lodge features accommodation in eco cabins with private veranda, 4 spacious dormitory rooms along with a restaurant, free Wi Fi, craft shop and visitor center presenting a perfect base from where Budongo forest exploration can be conducted. The Eco cabins are set apart privately enclosed in the forest each with a private deck and well maintained connecting foot paths. The rooms are spacious and feature double and twin beds along with a siting area. They also have an en suite wash room, wash table and detached composite toilet. Dormitory rooms These are 4 in number and each room features a double decker bed. The beds have mosquito nets and there all have a common toilet and shower block with both cold and hot running water. The Kasyoha – Kitomi Forest is positioned at 35km from the town of Bushenyi stretching over a geographical spread of 433km2. The reserve shelters counts of wildlife species including chimpanzees though not habituated, Red tailed monkeys, blue monkeys, black and white colobus monkeys, Baboons and vervet monkeys. 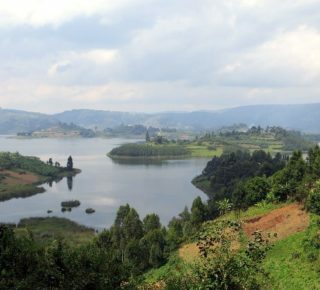 The Kasyoha Kitomi also shelters impressive crater lakes including the twin lakes of Kyema and Kamweru and Kyema not forgetting Lake Kamunzuku which is a very transparent. The forest reserve is close to Queen Elizabeth National Park and as a result small mammals like antelopes, duikers, Uganda Kob and bush pigs exist. The eco-tourism initiative was developed by Ndekye Women’s Development Association. The activities offered to Uganda tours undertakers include; the sightseeing, bird watching, conservation education, canoeing and forest walk. There is a 3 hour trail stretching from Magambo Camp site up to Lake Kamunzuku. Regarding accommodation, there are camping facilities at Magambo parish headquarters with panoramic views of the twin lakes. Guests are required to come along with the camping gear. Four wheel drive (4WD) is recommended. These are positioned in Ssese Islands surrounded by the expanse waters of Victoria Lake and are given as medium altitude moist forests. They appear as a belt stretching along the lower ridges featuring a gentle slope from the Lake Shore to the center. 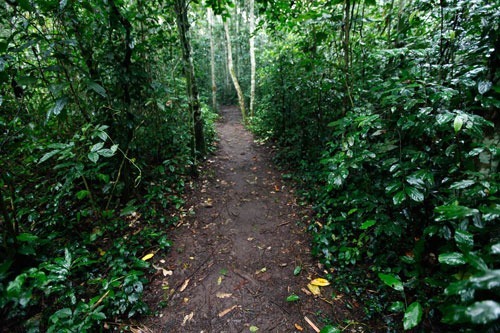 The forests feature well developed forest trails and the famous one stretches from Lutoboka landing site up to where Henry Morton Stanley one of the great ancient explorers pitched his camp on his Uganda tour. 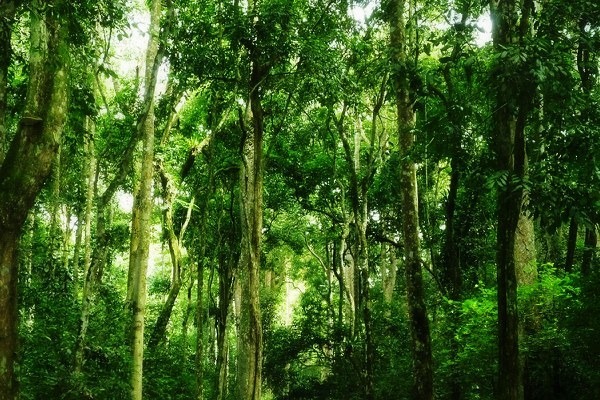 It can be noted that there are thirty one (31) demarcated forest reserves that total to 7,324 ha under the management of National Forestry Authority. The eighty four (84) Islands of Ssese are impressive to encounter though some of them are not inhabited. The area is rich in bird species and butterflies not forgetting primates in particular monkeys. The combination of the lake environment presents ideal eco-tourism encounters you can ever have on tours in Uganda The visiting people can engage in Boating, sailing, Fishing and sun Bathing on the shores of Lake Victoria, forest walks / hiking, primate identification, bird watching and butterfly identification. Accommodation in Lutoboka is greatly in the hands of private developers and thus there are more established beach resorts and hotel establishments ranging from Luxury to Midrange and Budget. Among them include; the Ssese Island Beach Hotel, Mirembe Resort Hotel, Brovad Sands Lodge, Pearl Gardens Beach, Panorama Campsite among others featuring great white sand beaches that are ideal or relaxation following a forest walk. One can access See Islands through Nakiwogo Landing site Entebbe where MV Kalangala operates daily. It can also be accessed through Masaka’s port of Bukatata and transfer by ferry still to Kalangala. Land transportation has to be arranged from the shore to the lodge. The Busingiro Eco-Tourism Site is positioned at the south west of Budongo forest and like Kaniyo Pabidi, it contains a range of Primate Species including the common chimpanzees though those of Busingiro are not yet habituated. The site also features monkeys and baboons. In fact, Budongo features 290 species of butterflies, 130 species of Moths, 465 species of trees along with 24 species of mammals if which 9 are actually primates. 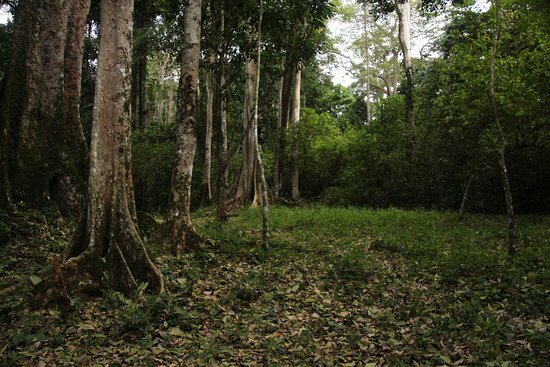 The count of Stranglers, Fig trees, Mahogany, iron wood and a range of medicinal trees comprise a section of trees in this section of Budongo forest. There diversity of birds, butterflies, reptiles and small mammals combine to derive impressive memories for visiting this site while on Uganda tours. The remarkable Royal Mile is a must and makes the Busingiro eco-tourism site unique. The Royal Mile stretches for one mile and features a collective representation of all the tree species in Budongo forest. King Kabalega who is a re-known King of Bunyoro used to connect to the site along with his queen for relaxation. It is also a great birding destination in the whole of Budongo where you have possibilities of encountering the Budongo endemics like yellow-footed Flycatcher and Illadopsis puveli. There are a range of tourist activities in Busingiro Eco tourism site including the Bird watching education, and research, butterfly identification and forest walks / hiking. Busingiro Eco tourism site is located to the west of Masindi town 47km from the main town passing through Nyabyeya and Kinyara. You follow the smooth tarmac to Masindi town and then a rough road to Busingiro. Accommodation at Busingiro ecotourism is provided on camping basis though there are efforts to rehabilitate the guest bandas to house at least ten (10) guests per day. Bugoma forest is accessed by following a dirt road 70km from Hoima town about 200km from Kampala. There is an Aircraft landing ground at Kisaru Tea Estates which is 12km from Bugoma Uganda tour site. The Bugoma Eco tourism center features ten (10) tourist bandas that can take a minimum occupancy of ten visitors per day. 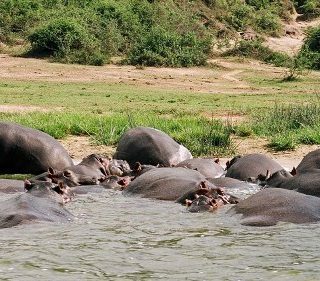 Uganda safaris are possible all year-round though the most popular ones are the dry months which appear from June to August and then from December to February. It can be noted that the primate walks such as gorilla trekking or chimpanzee trekking form a big part of any Uganda tour and the habitat of these species are mostly rain forests which by default are wet and one may not avoid the rain completely. However, it can be noted that after the rain, the skies normally open up to an impressive bright tropical sun shine. The classic wildlife safari in Uganda in the savannah parks of Uganda is best done to the end of the dry seasons since wildlife would be gathered around water points. This thus extends the experience to the months of March and the month of September and even early October. A Birding safari in Uganda can be fanatically conducted throughout the year but it normally at its peak season in the months between November and April when the migrant bird species are noted to be present. 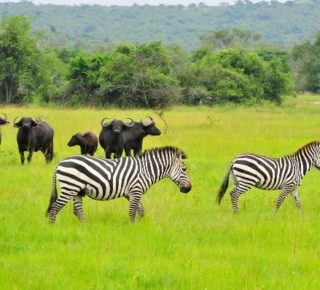 It can be noted that the best time to embark on a Uganda tour is from June to August then from December to February suitable for all the Uganda safari destinations. The best weather can be June-July and January-February where there is little rainfall and plenty of sun and this makes the high Uganda`s safari season. The worst weather can be in the months of March, April and May which is the peak of the wet season/ low Uganda safari season. Kindly note that you cannot change the gorilla permit because there is heavy downpour in the morning of gorilla trekking. Also the departure time is scheduled. We offer a range of high quality Uganda tours and we specialize in customized tours such as Gorilla trekking tours and Wildlife tours in Uganda national parks, Birding tours, Cultural tours, agricultural tours and Eco-tourism, mountain Rwenzori climbing tour, rafting along the Nile River, as well as quality tour and luxury car hire for individuals, families and groups of any size. 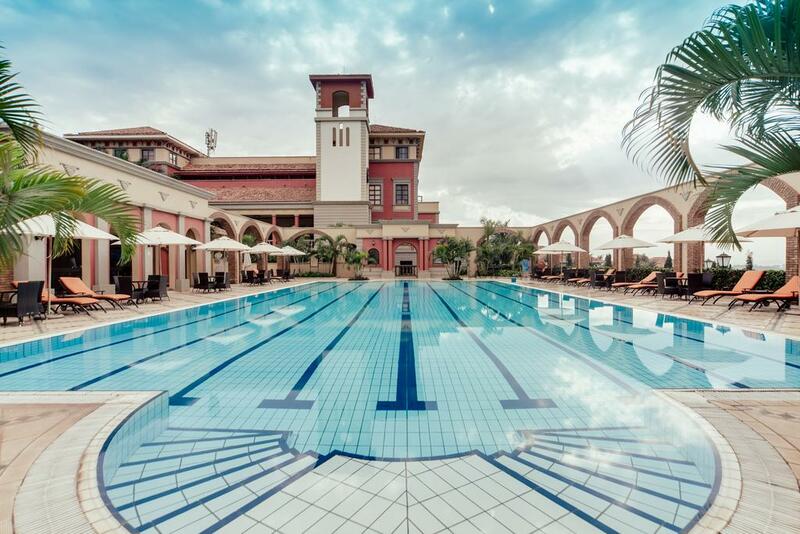 Whether you want a three hour tour of Kampala, a private “all inclusive” Africa holiday in Uganda or just a day out in the beautiful countryside – we can help. Our Uganda tour safaris are available on both a scheduled and a private basis. Join us on one of our private tours or let us customize for you a private Africa safari tour of your choice. Because we understand the variations in our clients` needs, we endeavour to discuss with our clients and suggest to them what may be perfect for their Uganda tour. 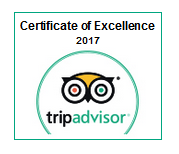 By so doing, we design unique excursions for every traveler that explores Uganda and Rwanda. Our Uganda tours / trips usually range between 3 days short Uganda tour to 21 days Long Uganda tour (3 weeks) adventuring the tourism diversity in Uganda. Right from the dry vastness of Kidepo National Park in the north, Queen Elizabeth savannah plains, the mighty river Nile and her magnificent Murchison Falls, the rainy forests plus savannah valley of Semliki National Park , to the Bwindi Impenetrable forest national park known for gorilla trekking that lies in the south east of Uganda, a tour in Uganda will definitely surprise you beyond your African tour expectations. 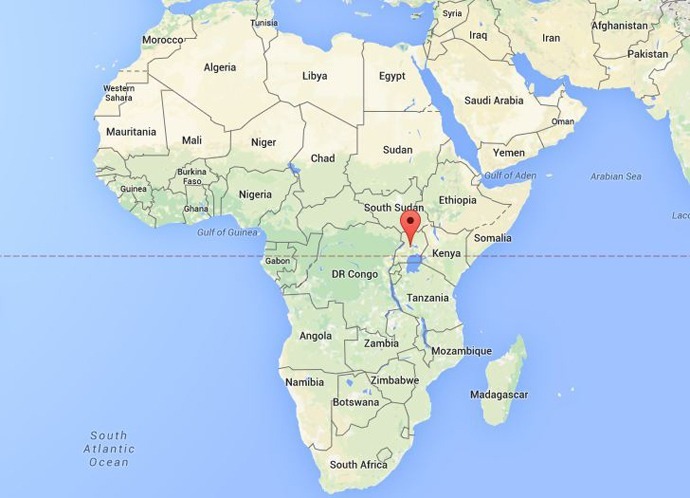 Uganda is positioned along the Equator engulfed by the Great Lakes of Africa and with no access to the sea. The earliest foreigners to arrive in Uganda were Arabs in 1840s and were then followed by the European explorers of British origin on the year 1962 for Speke and Stanley in 1875. The foreigners would approach the Buganda Kingdom first due to its proximity to Lake Victoria which was their main point of entry and the reigning King by then was King Muteesa I.
Buganda Kingdom was one of the four Kingdoms in the region which were firmly established in the mid-19th Century including the Ankole Kingdom, Bunyoro Kingdom and Tooro Kingdom along with with other chiefdoms in the east and the north of Uganda. The form of governance was monarchical. Uganda at first was of little interest to the colonialists as seen by the British and Germans after agreeing the spheres of influence in the year 1886 and the nation Kenya belonging to Britain, the area that was beyond the north shore of Lake Victoria was underestimated and a company was contracted to take care of it. The Imperial British East African Company (IBEACo.) thrived between the year 1888 to the year 1895 taking care of the region from the Buganda’s Kingdom’s east coast to the Lake Victoria’s north west shores. Since the region was actually beyond Lake Victoria as British thought and the Germans thought of taking an advantage of the treaty by noting that Buganda which was the most powerful Kingdom in the region by then was not detailed in the territorial treaty with Britain. Karl Peters approached the King of Buganda in the year 1890 to enter into an agreement that would put Buganda under German protectorate. Lord Salisbury the then British Prime Minister persuades Berlin to opt for Heligoland Island which is in the south west of North Sea which belonged to the British since the year 1814. Germany accepted the offer and let go of the East African territories of Uganda, Zanzibar and the Equatoria (Sudan’s Southern Province), Unfortunately, Heligo land would later become useless to German as it had been sought as a perfect naval base but ended disappointing in the two world wars. The IBEACo was confronted with a myriad of challenges ranging from absence of a railway network connecting Uganda with the coast and the religious conflict in Buganda. There was war break out between the French Catholics and the British Protestant Missionaries and in Jan 1892 the fight broke out among the four hills of Kampala where on top of one hill there was Kabaka’s palace, on the second one was the French Catholic Cathedral build with wooden poles and reeds, on the third one was the Protestants who were still building their church while on the fourth one was the Fredrick Lugard – the head of IBEACo who had advantage of his Maxim Machine gun. Though Lugard won the situation, the loss of life and property indicated that IBEACo had proved failure to manage the territory. As a result, Britain declared a Buganda a British Protectorate in the year 1894 after which it extended its control to the other Kingdoms of Ankole, Tooro and Bunyoro forming together the Ugandan Protectorate by 1896. Though Kenya had remained Calm nothing of value had been realized and also the British Government revoked the contract of IBEACo with 250,000 pounds in compensation and the government takes the control of all her East African territories. In 1899, the British government sent Sir Harry Johnston a seasoned administrator to study and recommend the best form of administration that would keep the Ugandan protectorate in a calm and productive situation. Johnston is credited for his 1900 Buganda agreement as he was convinced that the power held by the local African Kings can be a perfect tool through which foreign administration can flow. In the 1900 Buganda Agreement, the status of the Kabaka of Buganda is put in recognition of Britain along with his council of chiefs. The freehold land rights were recognized. Johnston went ahead and signed similar agreements with the Kings of Ankole in 1901 and Tooro in 1900 after which he returns to Britain. Unlike in Kenya where the whites were encouraged to occupy the Kenyan Highlands, Uganda had been declared uninhabitable by Europeans. Though disagreements followed and pressure to establish European farms and plantations, the British Commissioner emphasized that Uganda would be an entirely African state and the locals were encouraged to grow cash crops and the cotton growing flourished. However, this monarchical arrangement was to prove ineffective in the years that followed when Uganda was preparing for her independence. The strength of Buganda proved an imbalance in the protectorate. In 1960s, the leading politician of Uganda Dr. Milton Obote who was the founder of the Uganda People’s Congress whose support was greatly from the north was now in a big competition with southern region of Buganda. In March 1962, Uganda is granted self-governance internally and Milton Obote became the Prime Minister participated in the making of the constitution that would take effect when the full independence was granted in October 1962. As a result of pressure from Buganda, Obote bows to the federal constitution that guaranteed semi autonomy to the four established Kingdoms of Uganda and under the same pressure the Obote approved Kabaka Mutesa II as the President and the Head of State though this did not last long. In the year 1966, Obote failed to come to terms with Mutesa and he sent a force led Idi Amin the newly appointed Army Commander attacking the palace forcing King Mutesa II into exile. Immediately, the new constitution was established and the hereditary monarchs and chiefdoms were all abolished and introduced the executive president position assuming it himself and adding it on his Prime Ministerial position. Obote used the army and the police to curb down opposition which created national discontent which Amin took advantage of in 1971 taking over his government through a military coup leaving Obote to stay in exile in the neighboring Tanzania. Obote maintained a small-faction of the army in exile with Tito Okello as the commanding officer. Amin undertook one of the remarkable decisions when he expelled the Asians in the year 1972 giving them a period of 90 days to vacate Uganda. The economy was severely hurt and the country’s economic, social and political atmosphere deteriorated. He resorted to brutal killings and 100,000 – 500,000 Ugandans are believed to have lost their lives during his regime. Amin undertook another uncalculated move when he invaded Tanzania in the year 1978 prompting Tanzania to deploy troops backing the Obote’s army and the FRONASA fighters leading to his ousting in 1979 flying to Saudi Arabia The transition was first led by Prof Yusuf Lule and then Godfrey Binaisa before Lutwa undertook a military coup in May 1980 bringing back Milton Obote to power. A general election was then conducted in 6 months’ time which he won and affirmed the president. Cases of vote rigging were reported prompting the some of the participants Like UPM’s Museveni to go to the bush. The subsequent years that followed Obote applies violence to exert his rule on people and tribal massacres were common everyday and conducted by the army. In the year 1985, the Tito Okello carried out a military coup that sent Obote back to exile in Zambia. But the guerilla faction of Yoweri Museveni had gained strength and was well organized and in 1986, they took over power from the Lutwa government. Yoweri Museveni with his National Resistance Army took control of Kampala in January 1986 declaring a government of national Unity that was to become a pivot of peace and stability in the country up to present. There was a noticeable improvement in national development including the economy and the first constitution was amalgamated in 1995. Museveni ruled under single part system until 2005 when multiparty politics were allowed through a national referendum. Uganda holds a national election after every five (5) years and features an independent electoral commission, the Army – Uganda Peoples Defense Forces (UPDF), the police – Uganda Police Force (UPF), a functioning parliament and Constitution. There are monuments including the Independence Monument, Museums including the Uganda National Museum and memorials like the mass graves in Luwero that have been put overtime to act living testimonies of this remarkable national history. Any world traveler interested in a Uganda tour is required to be in possession of a valid passport issued by the respective country of origin. 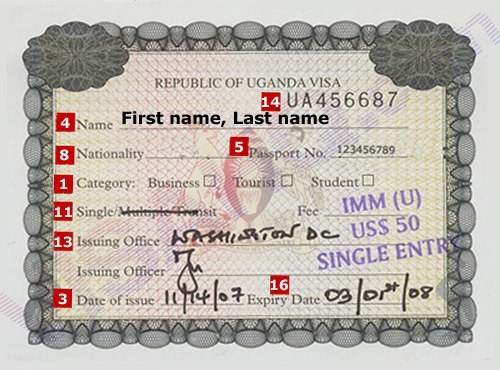 Uganda immigration Authorities requires that the passport copy should be 6 months valid and must have at least one page where the stamp can be put. Regarding the citizens of the East African Community, it can be noted that they do not require passports to enter Uganda. They can travel under the admissible temporary document and use their national identification cards for identification. 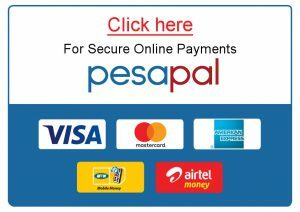 Visa; where to get Uganda Visa? Do I need to buy Visa to Uganda? Uganda is one of those countries that apply the reciprocal Visa Programme where by nationals of countries that do not request Ugandan citizens to buy Visa are also allowed to enter into Uganda for free and vice versa. Uganda Visa can be obtained at the arrival desk at Entebbe International Airport at USD100 per Visa as per the fees revision that took effect on July 1st 2015. The Uganda Visa can also be secured at other land border posts of the country like Malaba, Busia, Lwakhakha, Suam river, Mbale for Kenya; Oraba, Atyak, Afugi, Gulu, Madiyope/Madi Opei (Mosingo) , Madiyope/Madi Opei(Tseretenya) for South Sudan; Mpondwe, Ntoroko, Butogota, Ishasha, Bunagana, Goli, Paidha, Vurra, Lia, Arua and Bunagana (Busonga) for Democratic Republic of Congo; Bunagana (Bunagana), Katuna (Gatuna), Mirama hills (Kagitumba), Chanika ( Ruhengeri) to Bunagana in DRC, Kamwezi (Buziba) and Rwempesha (Kizinga) for Rwanda. The Uganda Visa can also be secured from the local Ugandan consulate / Embassy in the country of Origin. The Uganda Tourist Visa costs $100 for the nonresident foreigners while the resident foreigners i.e. those that live in the East African community in possession of a varied work permit is waived of the Visa fees with in the northern corridor states which Uganda is among. Visa Exemption; who is not supposed to pay for Uganda Visa? Am i exempted from buying visa to Uganda? The second group comprises of countries under the COMESA arrangement namely; Angola, Eritrea, Madagascar, Seychelles, Swaziland, Zambia, Comoros, Kenya, Mauritius and Zimbabwe. The third group comprises of other friendly countries including; Antigua, Barbados, Fiji, Grenada, Lesotho, Sierra Leone, Solomon Islands, The Grenadines, Vanuatu, Ghana, Cyprus, Bahamas, Belize, Gambia, Jamaica, Malta, Singapore and St. Vincent-Tonga. By exemption, it means that the nationals can travel to Uganda without applying for Visa. Visa Duration: How long the Uganda visa last? How long can i stay on tour in Uganda with my Tourist Visa? The Uganda Tourist Visa lasts for 3 months – 90 days and is only limited to leisure and recreation and visiting friends and family other than work. Vaccination: Which Vaccination do i need to take when planning a Uganda tour? Uganda requires that you get vaccinated against Yellow fever and a proof of yellow fever certificate is always presented as a must upon arrival at Entebbe International Airport. Travel in Uganda during Uganda safaris is comfortable when travelling with us in our 4×4 safari Land cruisers and Safari Vans. The major routes connecting to various parts of the country are tarmacked. Murram roads then connect from the nearby towns where the tarmac stops linking to the Uganda safari destinations. These roads can be rough at times. However, the efforts are being made to replace the old roads with the new ones. Because of the varying landscape and the nature of the connecting murram roads at times, it is not advisable to drive yourself for the first time. Prime Uganda Safaris has expert driver guides who offer the themed interpretation and take you through the challenging road sections carefully and safely as they have the expertise in this. 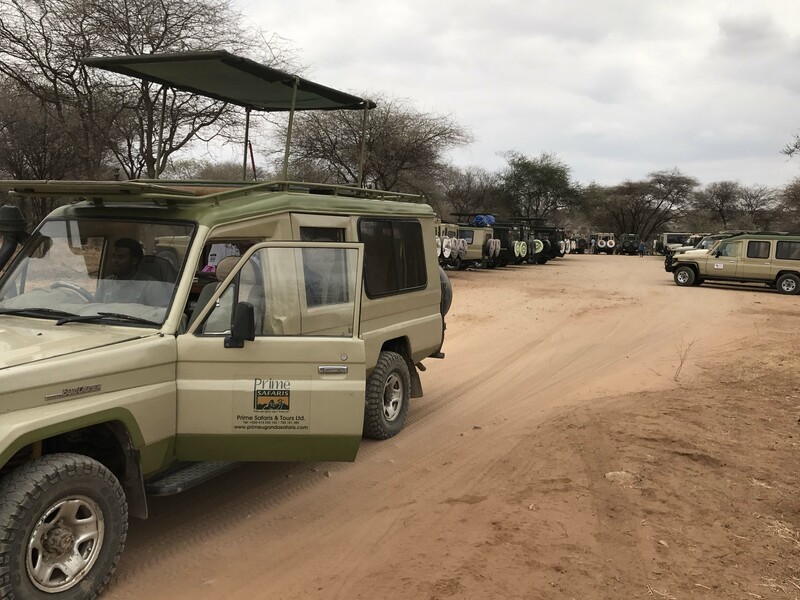 Our Uganda safari vehicles all with 4WD feature the strength to negotiate the challenging landscapes including the Kigezi highlands and Karamoja landscapes. 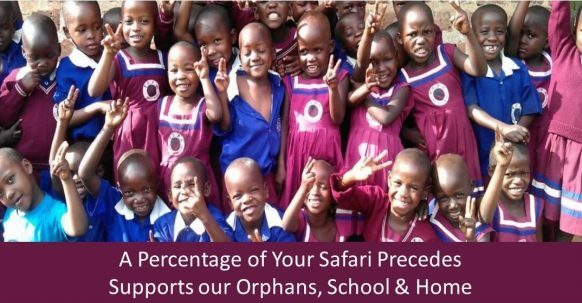 This is a lovely attempt that will offer you a safe and trusted leisure and educational life time experience on Uganda safaris exploring the Pearl of Africa in detail. Location of Prime Uganda Safaris & Tours Ltd.
Prime Safaris and Tours Ltd has positioned itself to make your safari in Uganda a memorable adventure of a lifetime by organizing a wide range of packages ranging from short to medium and long wsafari company ith some featuring specialty attractions while others are intermixed and surprisingly at an affordable price in any category that you wish to travel in ranging from Luxury to Mid range and Budget that you can hardly find elsewhere and yet without compromising quality of the experience as seen from the reviews of the traveler that have opted to use its services in the past. 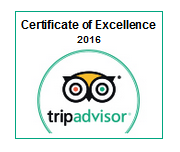 You can check out our reviews on our Trip Advisor Page. Besides the physical spread, Uganda features a population of 41 million people as of 2018 world population estimates and is one of the most heterogeneous nations in Africa with a count of over 65 tribal groups that feature varied cultures with different customs, practices, livelihood patterns, settlement patterns, physical spread, events and festivals making cultural safaris in Uganda rewarding. Ranging from the Karimojong both the indigenous Karimojong that thrive in the Morungole Mountains and the Pastoralist Karimojong that thrive in the dry plains of Karamoja with their herds of cattle in the north east to the Batwa of the southwest known as one of the last groups of the short surviving people in the world with their ancient settlement in the dense forests that mark the area, Uganda can affirm that it still features intact tribal traditions in East Africa. The highly organized Kingdom of Buganda is a popular Uganda safari kampala site with its Kasubi tombs – the burial grounds for the Kings marked by UNESCO as a world heritage, the pastoralist cultures of the Banyankole with their beautiful Ankole longhorned cattle, the Bamasaba with their Imbalu ceremony where the boys are circumcised live to initiate them into manhood, the Bakiga of Kigezi that have inhabited the Kigezi highlands for centuries past presenting one of the magical human protected landscapes in the world with remarkable sceneries not forgetting the northern Nilotic tribes with their customary settlement and unique architectural huts combine to give a clear representation of Uganda and her capacity to offer remarkable safari memories. The KLM Royal Dutch Airlines happens to operate four (4) flights in a week between Amsterdam and Entebbe International Airport which after links to a range of Scandinavian countries including Denmark, Sweden and Norway. 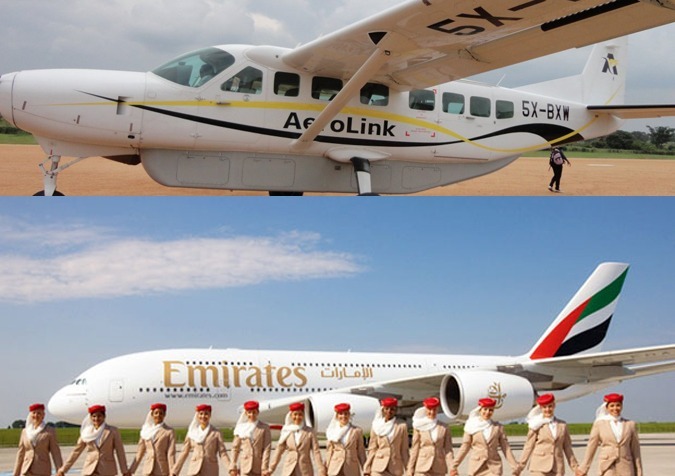 KLM or Air France allows Ugandatour undertakers to connect from Montreal, Vancouver, Seattle, Washington, Detroit, Memphis, Los Angeles, Houston, Boston, Chicago, New York, Atlanta, Chicago, Toronto, San Fran Francisco, Ottawa and Minneapolis via Amsterdam to Entebbe International Airport in Uganda. The British Airways helps to link Chicago, Los Angeles, Miami, Dallas New York and Boston via London to Entebbe International Airport in Uganda. The Ugandan food varies from the ordinary to good. Uganda features a wide range of cuisine that one would wonder to encounter. Uganda features specialty restaurants that serve specialized food items including the Chinese food, the Indian cuisine, the Italian Cuisine, Irish, African contemporary, the Afro Caribbean, Belgian, Continental, Eritrean, Ethiopian, German, Fusion, Iranian, Indian North, Japanese, Mexican, Korean, Nigerian and Middle Eastern. Besides a diverse capacity handle a range of dietary interests of Uganda tour undertakers from different parts of the world, Uganda has its traditional cuisine which differ per tribe spread in different parts of the country. In central Uganda, the local delicacy is called Luwombo and the local restaurants feature it on their menu. This for both food and sauce and the food is boiled matooke plantains which are prepared in banana leaves. The sauce whether chicken or any other sauce also put in the banana leaves which are first sun dried or roasted a little to prevent them from tearing. In South Western Uganda, among the pastoralist Banyankole, there is Eshabwe which is a sauce that is made without fire. It’s made out of cow ghee. The cultivators have their fine Karo – millet bread which is very delicious. In the mid-west of Uganda, the Batooro prepare the unique Firinda sauce which is made by removing the bean outer layer. In the East of Uganda, the Itesot prepare the Atapa which is made out of cassava and is also impressive to consume. In the north of Uganda, there is a sour vegetable known as Marakwang which is exciting to taste on. They also have a lot of Sim-Sim. Uganda also features a wide range of fruits that are organically and freshly grown including the Mangoes, Oranges, Ovacadoes, the Jack fruit, Pineapples, the guavas and Passion Fruit and Water melon which are sold in different markets in Kampala especially Nakasero Market, the along the major routes that connect to Kampala and even in the up country areas. Uganda’s national currency is called Shillings which is abbreviated as UGX and features a shilling sign of /=. However, other foreign countries can still be of use in the country especially the United States Dollars. In fact, you exchange part of your money to Uganda shillings and also remain with dollars so as to avoid inconveniences because at some stations, payment may be required in Uganda Shillings strictly other than dollars and vice versa. Uganda Shillings can be acquired at Entebbe International Airport on arrival, from commercial banks in Kampala and Entebbe or a range of foreign exchange bureaus in Kampala and Entebbe. In the up country areas, the foreign exchange services are limited to the big towns there and the exchange rate tends to be low compared to those in Kampala and Entebbe. Uganda’s International dialing code is +256 and this is followed by the respective number one intends to call. Uganda features a range of Telecommunication companies that offer telecommunication services including the South African Based MTN, Airtel, Uganda Telecom, Orange Telecom and the local K2 Telecom. Uganda is a heterogeneous nation and thus there is no majorly accepted local language country over. In Uganda people speak English and it’s the neutral mode of the communication in a country with over 65 tribal groups. Apart from English, Luganda is the dominantly used local language in Kampala, the Runyankole – Rukiga also take considerable percentage especially to the south west of Uganda, the Runyoro – Rutooro is among the Banyoro and Batooro, the Itesot in the east, Lumasaba, in Mbale region and the Luo languages of the north. Kiswahili is the second official language in Uganda and since Uganda is among the countries that form the East African integration, Kiswahili is increasingly taking ground as a language that can be incorporated in daily speeches. Specialized French, Chinese, Russian, Germany, Italian and Spanish interpreters are all available in Uganda. The travellers on tour in Uganda who are not good at English can pick any these for a customized interpretation on the Uganda tour. Uganda has medical facilities are close to western standards in Kampala her capital city. The upcountry towns feature basic medical services and can ably treat average sickness. Uganda like other destinations have got health recommendations which travelers can give attention before they set off for a tour to Uganda. Uganda requires Yellow fever certificate on entering the country. Besides that, the travelers can consider the vaccines which are not mandatory but essential to keep him / her safe on the visit; these include; the Hepatitis A, Malaria, Typhoid, Yellow Fever, Hepatitis B, Meningitis (Meningococcal disease) and Rabies especially for those interested in plenty of outdoor activities and thus prone to animal bites. The dangerous diseases like Ebola and Marburg tent to breakup in remote areas on the country but Uganda has demonstrated highest degree of skill in containing such diseases. And respective guidelines are put forward once there is break out. Thus the grater part of the year, Uganda has no such alarming health issues that should prevent the travelers from visiting Uganda. The country features a range of travel insurance companies including the International Air Ambulance (IAA) which can settle your health insurance if you are interested. Uganda Wildlife Authority finally takes Tourism to another level!! !